Peloton was started in West Chester, PA by brothers, David and Adam Jones. The beginning of their success started in their parents’ kitchen! No money, but a dream to make the best cold brew coffee the world has ever tasted. Adam and Dave drained their savings and began to make their dream a reality. Not only did they create the best tasting, highest quality cold brew coffee, but they also discovered a love for helping to create a happier and healthier planet. 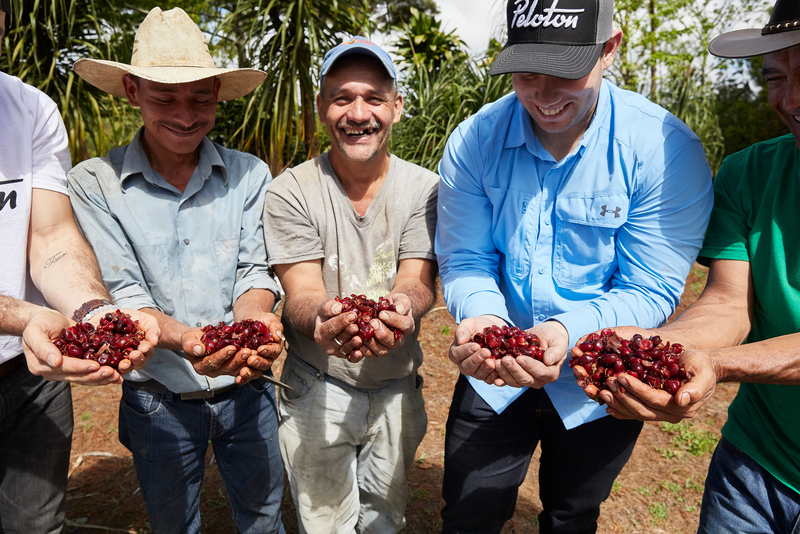 Through this discovery, Peloton Cascara Tea was created. We are brothers who both love life, strive for the best, enjoy time with family and friends, and are always up for a good cup of coffee! We love working together and pushing each other to be our best selves. We believe in integrity, creativity, authenticity and paying it forward! A peloton is the main field or a group of cyclists in a race. We chose Peloton, not only because we are cyclists, but because we also believe in the power of working as a group to achieve a final goal. Join the pack and become a part of Peloton!